The mighty Mississippi River separates Missouri from Illinois. 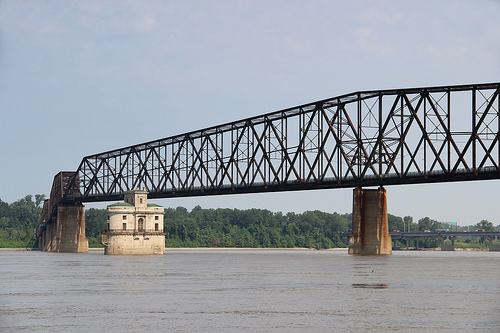 The Chain of Rocks Bridge spans the Mississippi River on the north edge of St. Louis, Missouri. 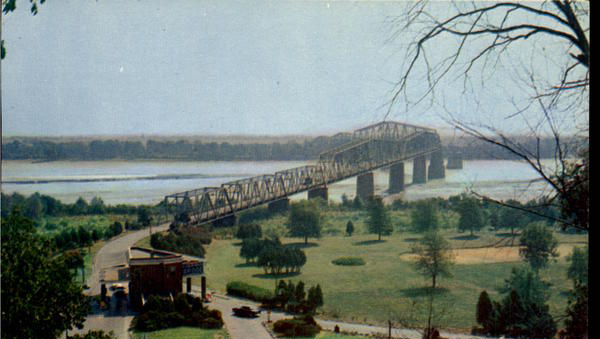 The eastern end of the bridge is on Chouteau Island, while the western end is on the Missouri shoreline. Chain of Rocks Bridge is one of the more interesting bridges in America. For more than three decades, the bridge was a significant landmark for travelers driving Route 66. Today the Chain of Rocks Bridge stands as a monument to man’s ingenuity and is preserved by the City of Madison and Trailnet for use as a pedestrian and bike bridge. 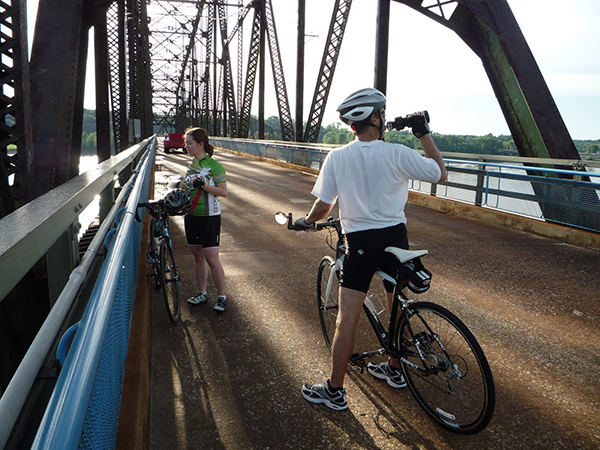 The bridge is open to bikers and pedestrians daily from 9:00am to dusk and is wheelchair accessible.